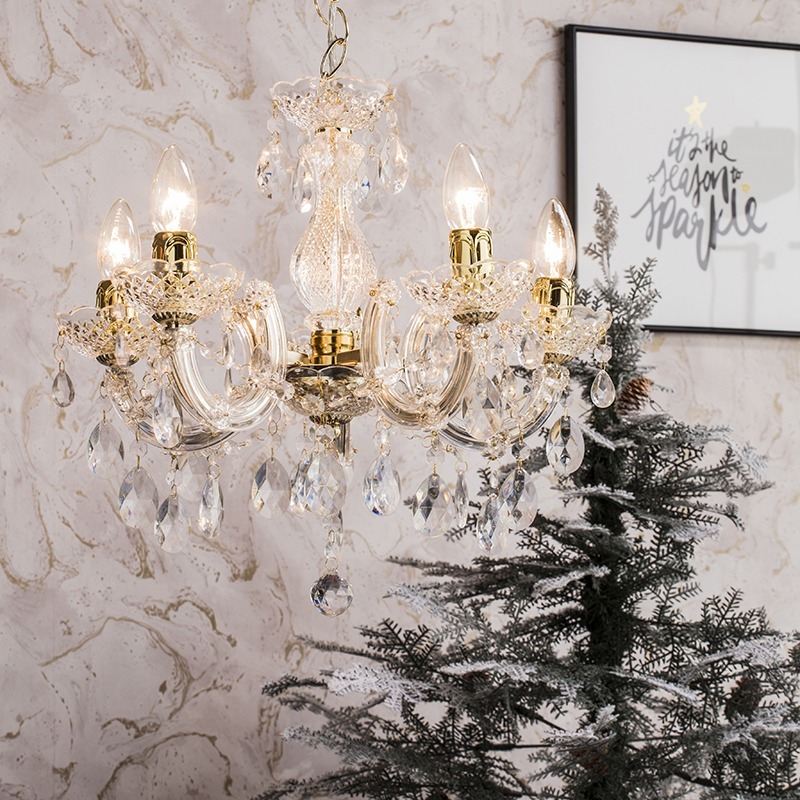 Staying on trend at Christmas can be pretty difficult, as you never want to stray too far from tradition over the festive period as you want to keep the cheerful Christmas spirit all winter, however when done right you can really give a fresh, inventive to your home that doesn’t hinder the festive feel! This winter, a soft blush pinks palette looks to be every interior’s must-have theme, with its relaxing, comforting tone making it perfect for creating the ideal atmosphere for snuggling under blankets and watching your favourite films. 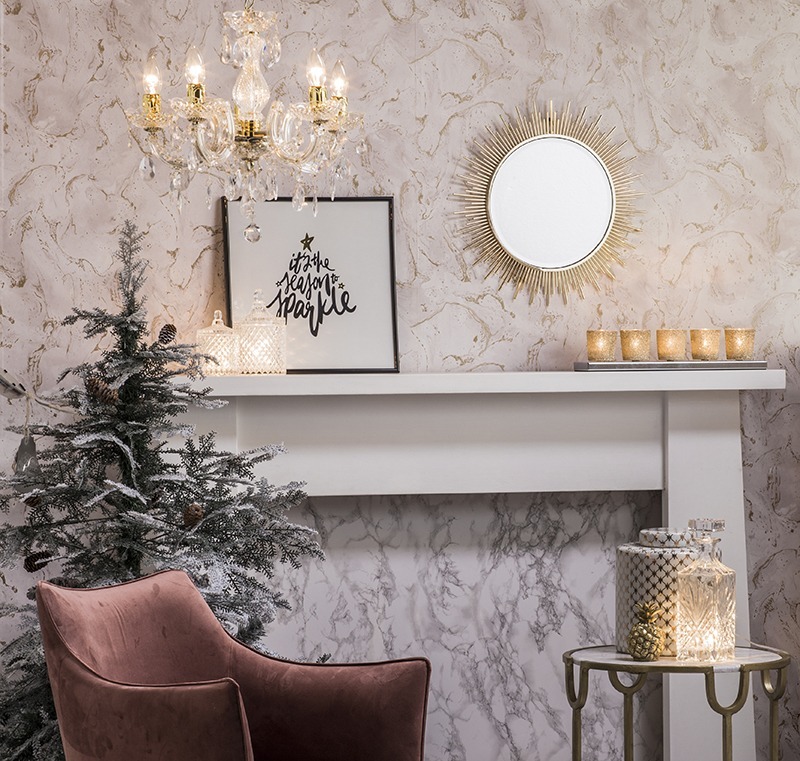 There’s plenty of ways to bring this fantastic interior style into your home, so sit back, relax, and enjoy our top tips on winter blush! For those interiors in need of an eye-catching piece to help mold a décor’s designs, bold ceiling lights can be a fantastic feature to utilise, with their ability to offer a combination of practical illumination and showstopping style being a brilliant addition to any room. 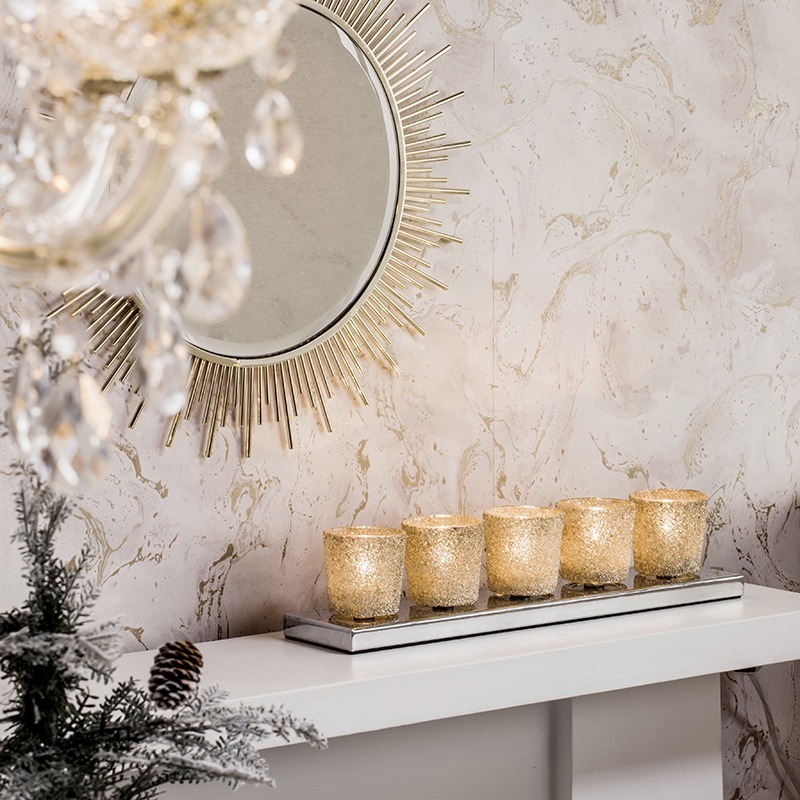 We’ve got 2 features that we think are perfect as the focal point for your dusty winter theme, one offering a unique contemporary vibe and one which gives emphatic elegance to the space. 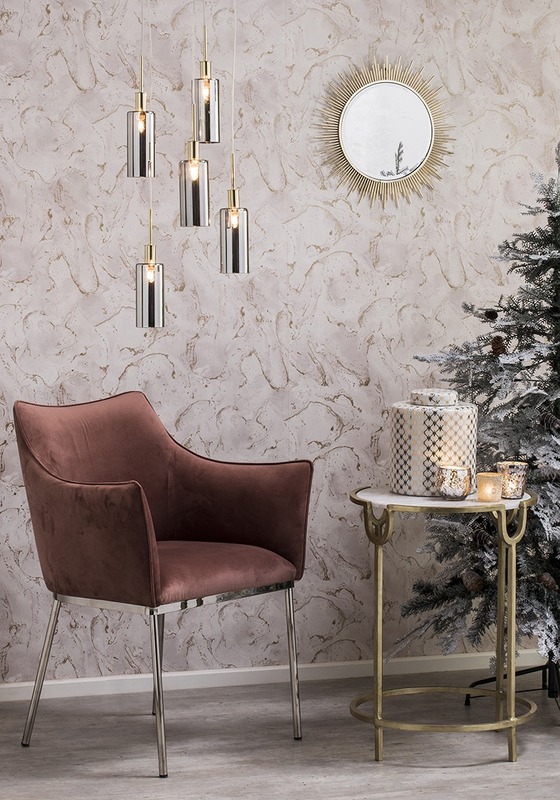 First up is one of our newest fittings, the Casilda 5 light ceiling cluster, which is great for giving an unusual twist to an interior, with a combination of brass accents and smoke glass coming together for a wonderful centre-piece for your decors. The shades surround each of the 5 lights, giving a grey tint for a stunning urban feel. 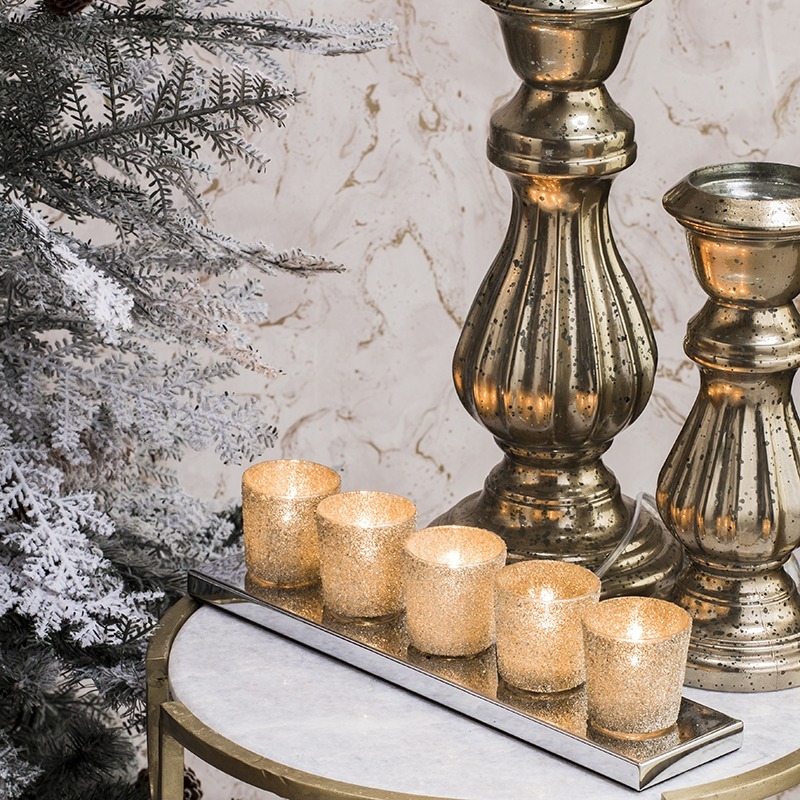 Alternatively, the Marie Therese 5 light in gold is an elegant, sophisticated piece that gives a classy luxe look to the décor. 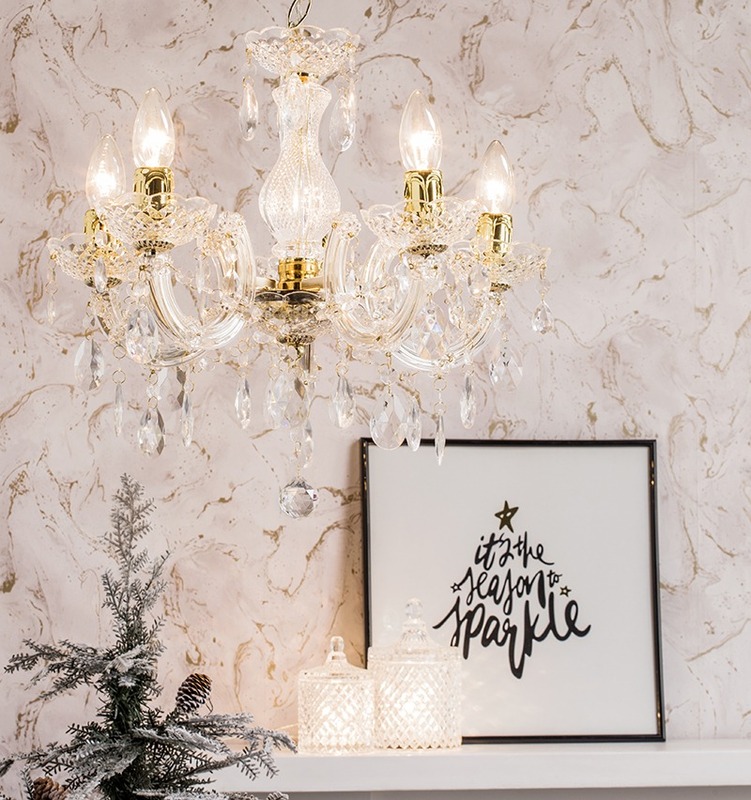 This chandelier is ideal in the centre of the room, giving a soft, sparkly style of light across the space for an elegant tone, thanks to an arrangement of crystals and sconces which surround each of the lights. Once you’ve decided upon your gorgeous centre-piece, you’ll then be looking for subtler, more decorative features to really bring the entire theme together. Table lamps can be the perfect features for this purpose, with plenty of quirky pieces that are perfect for festive decoration available! 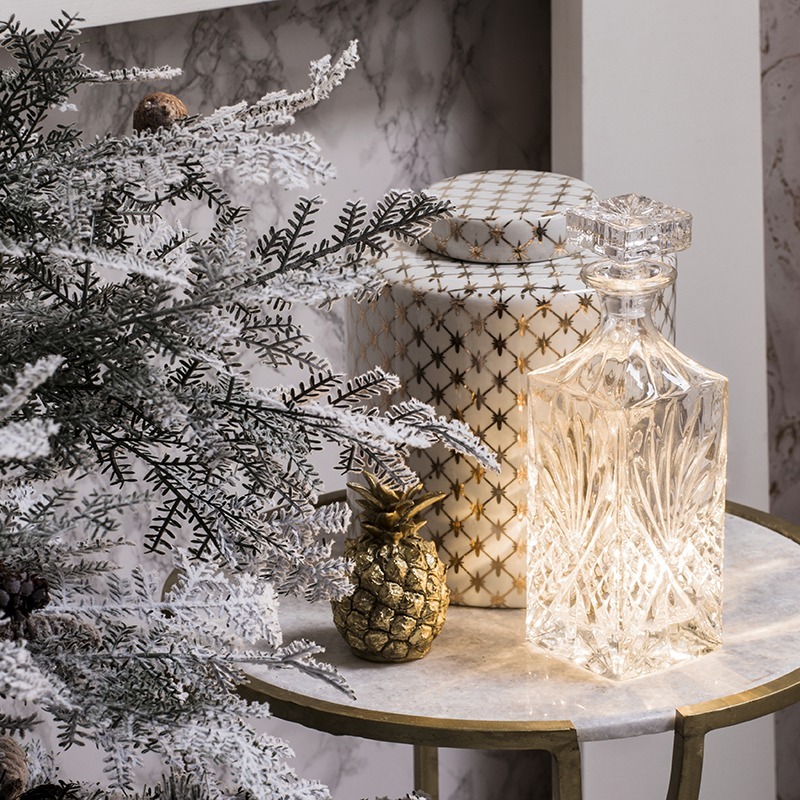 Our decanter style lamps are ideal for giving accent light to your winter blush décor – the unusual style looks just like a frosted ornament, with a subtle glow shining out that creates a more relaxed atmosphere in the room. Our ceramic cup lights are just as versatile as decanters, but give a more refined look, with a range of different finishes and materials available to fit into your existing décor’s designs, whether you’re looking for natural and rustic or something that offers a glistening sparkle. 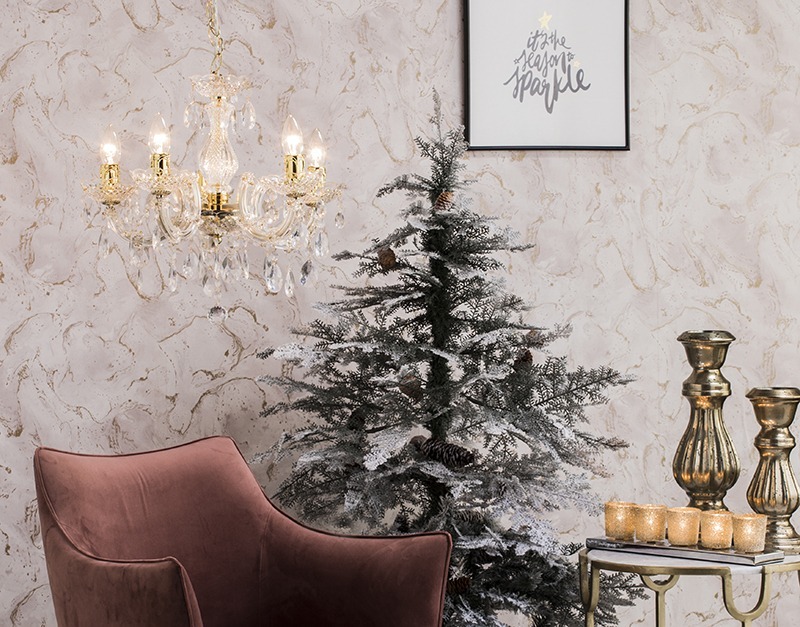 At Litecraft we’ve got lots of possibilities for giving a winter blush style to your home this Christmas, so whether you’re looking to transform your own interiors or gifting to a loved one, there’s sure to be a perfect feature! 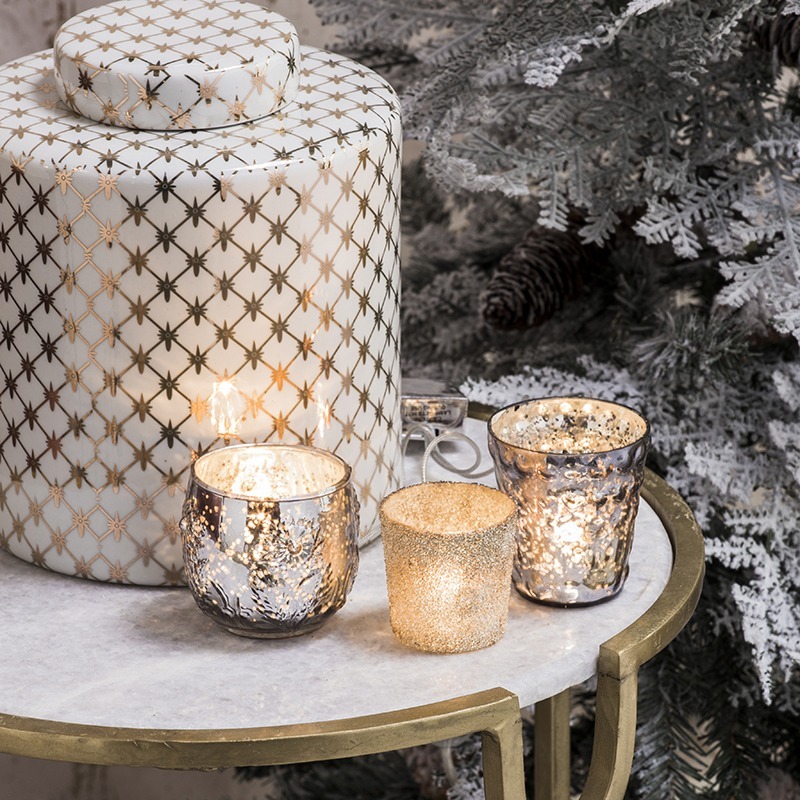 Pair our fittings with soft pink accents, such as napkins and place mats, and copper napkin rings and candle holders for an extra-urban vibe and an on-trend Christmas dinner! Find more interior tips on our blog page.